I would like to let you know of a special opportunity to learn more about the Peace Corps. Did you know that there are more than 22,000 people every year who apply to be Peace Corps Volunteers and only about 15% are accepted? But applicants who connect with a recruiter are 55% more likely to become volunteers. Wondering if a career in data science and analytics is right for you? Join alumni working in diverse data analytics roles across the corporate and nonprofit sector for casual small group conversations about the field. Alumni will give an overview of different career options and settings and discuss what technical and soft skills are necessary to succeed in the field, as well as how to strengthen these skills through internships, coursework, and self-directed training. Global Siblings Coordinator 2018-19 Application Open! 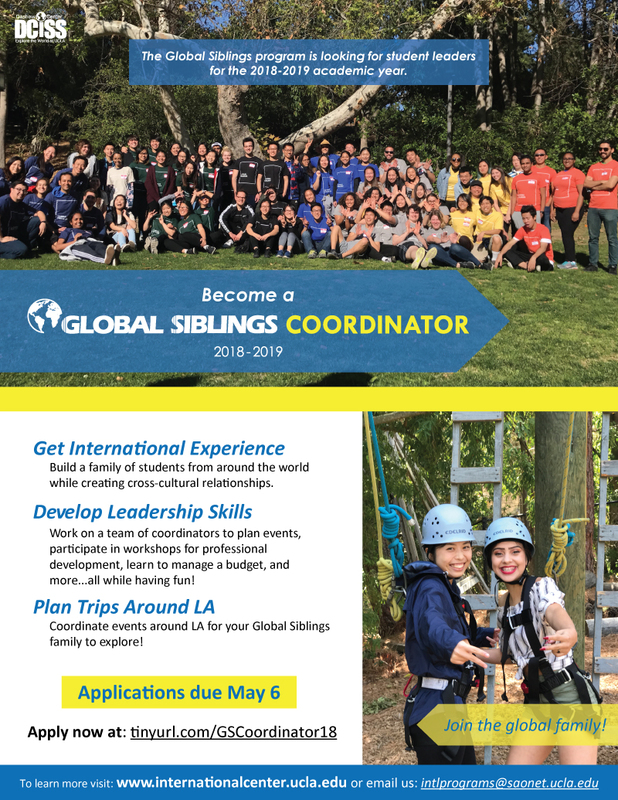 Read more about Global Siblings Coordinator 2018-19 Application Open!